Having an inflamed Achilles tendon can be very painful experience, which is a condition usually referred to as Achilles tendinitis. When affected by this, patients experience sharp and stabbing pain somewhere in the upper, lower, right and left parts of the heel area. In many cases, recreational athletes easily succumb to this severe type of condition, mainly because of overuse as well as constant exposure to strenuous activities. Here is a quick look at the symptoms, diagnosis, causes and treatments for this kind of chronic pain. People who are affected by this type of medical condition complain a lot about the dull and tingling sensation on their heels. 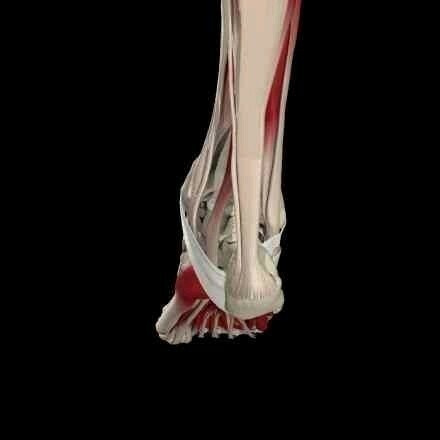 Add to that, shooting pain is experienced especially when a tendon is inserted right into the heel bone. Based on reports, the most painful time usually happens after long periods of inactivity. Pain is felt strongly when patients perform activities like jumping and running, especially in the morning. Many patients who suffer from this chronic pain condition are middle-aged athletes, the most common causes of which are overpronation and lack of flexibility. Sometimes, it also happens when there is a sudden change of exercise and training schedules. In other cases, this condition is experienced when people had recent changes in footwear. For distance runners, this usually happens after increased hill training or mileage. Furthermore, middle-aged athletes are prone to this type of medical condition because their tendons become more rigid and less flexible. Diagnosis is very important for people who are experiencing the various symptoms of this kind of pain. Certain methods can actually help find the real cause of the problem. These include the analysis of medical history as well as physical examination. The first method can be very helpful, especially in determining the symptoms and causes of pain. On the flip side, the second method is highly important, particularly in identifying the exact point of the problem. Magnetic resonance imaging and x-rays also play significant roles in the diagnosis of this medical condition. When suffering from this condition, patients are highly recommended to use non-steroidal anti-inflammatory drugs like ibuprofen, which can help a lot especially when dealing with severe pain. 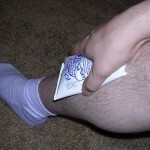 In severe cases, it is good to tape the affected area to support the tendon. Other methods like steroid injection and cold compression therapy are also very good for patients. In severe situations, podiatric and orthopedic surgeons may recommend corrective surgery.